We've shown a Misshapen video at the Experimental Gameplay Workshop at GDC2019 and the reception was really good. As we're redesigning lots of stuff (and trying to be faithful to Sugimoto's vision), we've decided to take down the current version. If you want to know more about the game or the development process, you can join our Discord! Watch the EGW video HERE! Misshapen 歪 is an obscure physics based horror shooter designed by Satoshi Sugimoto where you can’t kill your enemies but you can distort them by provoking unrelented, uncontrolled cellular growth. Using your powers, you'll be able to build nightmarish living structures and use these hellish creations to achieve different goals in an obscure, damn and wretched world. Satoshi Sugimoto began his career as a videogame developer in the mid-90s. He worked on several non-accredited projects as an intern. He moved up really quickly in the studio and finally got a project of his own in which he would develop his creative visions freely. Everything seemed to indicate a promising career in the video games industry when something happened that upset his entire life: his sister was kidnapped. Police never found anything about the kidnappers, despite several identikits made from low quality security footage and witness testimonies. These images showed all the same expressionless, inhuman face. Ten months after her sister went missing, Satoshi received a VHS tape. It was blank. He believed it was some kind of message from the kidnappers, but they never reached him again. Misshapen is the only game signed by Satoshi Sugimoto. He started designing it while searching for his sister. Two years after receiving the VHS tape, the studio released a really weird and wretched game. Game is currently in development! 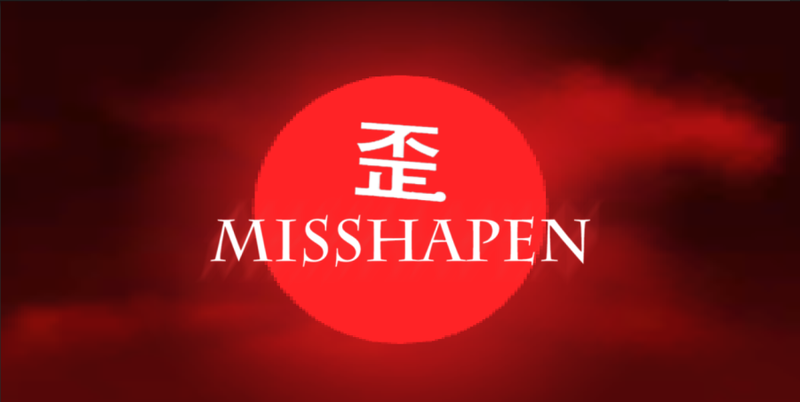 * Note: Misshapen 歪 PC/Mac versions are being developed by Beavl and Nonsense Arts.